Area covered by the Indo-Pacific biogeographic region. Graphic by Eric Gaba, Wikipedia Commons. India’s perspective on peace and prosperity in the Indo-Pacific was outlined by Prime Minister Narendra Modi during his recent visits to New Delhi’s maritime neighbours – Indonesia, Malaysia and Singapore. The nixing of the Iran nuclear deal, the Trans-Pacific Partnership, and the Paris Agreement are only some of the many ways that the United States has alienated its closest allies.1 President Donald Trump has already roiled the milieu by demanding that allies do more for themselves and rely less on his country.2 The United States, an inconsistent and unreliable friend even under prior US administrations, has increasingly become a feeble and feckless ally. 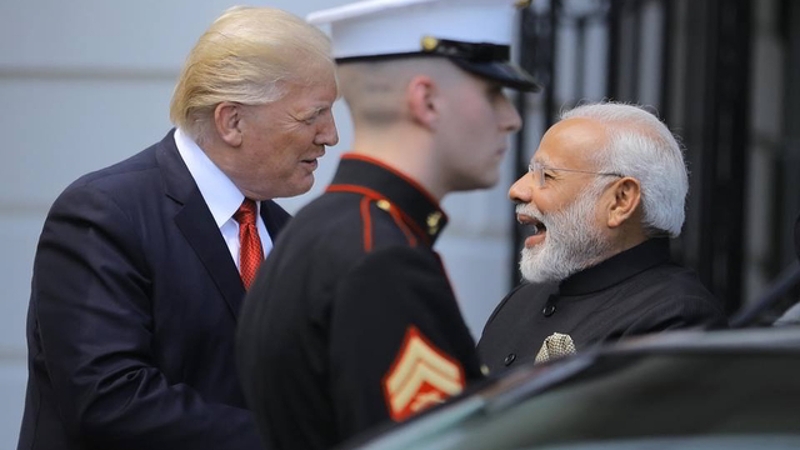 Increasing military alignment, let alone a strategic partnership, with the United States would be a liability for India. China’s government is using a multi-pronged strategy to systematically steal advanced American technology as part of economic aggression against the United States, according to a White House report. The report, based in part on declassified intelligence from the Pentagon and intelligence agencies, provides some of the first public details on China’s industrial policies that have produced the world’s second largest economy, often at the expense of American companies. “The Chinese state seeks to access the crown jewels of American technology and intellectual property,” says the report, made public Tuesday night. On June 12, all eyes were on U.S. President Donald Trump and North Korean leader Kim Jung Un, in the first ever meeting between the heads of states of the two countries. Although pundits debate whether it was North Korea or the United States that benefited the most from the summit, there was a less visible player that came out a clear winner: China. China’s North Korea policy is primarily motivated by the desire to counter U.S. power in the region and increase Chinese influence on the Korean Peninsula. Along those lines, Beijing had two main objectives that came to fruition in Singapore. Hezbollah and Iran have accumulated a substantial amount of weapons and fighters in Syria that pose a threat to the United States and its allies in the region. In response, Israel has conducted a growing number of strikes against Iranian, Hezbollah and other targets in Syria. An escalating war has the potential to cause significant economic damage, lead to high numbers of civilian casualties and internally displaced persons, and involve more countries in the region than did the 2006 Lebanon War. The stakes are high, making it critical for Washington to help prevent such an escalation. Defense Secretary Jim Mattis will turn to his own policy advisers for options that he could present to the president. WASHINGTON — As the initial shock of the president’s order to create a Space Force wears off, the question of “what comes next” looms large for the Pentagon. With the U.S. Air Force poised for a major breakup if and when the Space Force is formed, leaders on Tuesday moved quickly to allay fears and assure airmen that business, for now, will go on as usual. The establishment of a space branch of the military will be a “thorough, deliberate and inclusive process. As such, we should not expect any immediate moves or changes,” Air Force Secretary Heather Wilson, Chief of Staff Gen. David Goldfein and Chief MSgt. Kaleth Wright wrote in a letter sent on Tuesday to the entire force. WASHINGTON — As the initial shock of the president’s order to create a Space Force wears off, the question of “what comes next” looms large for the Pentagon. With the U.S. Air Force poised for a major breakup if and when the Space Force is formed, leaders on Tuesday moved quickly to allay fears and assure airmen that business, for now, will go on as usual. The establishment of a space branch of the military will be a “thorough, deliberate and inclusive process. As such, we should not expect any immediate moves or changes,” Air Force Secretary Heather Wilson, Chief of Staff Gen. David Goldfein and Chief MSgt. Kaleth Wright wrote in a letter sent on Tuesday to the entire force. AFTER A YEAR and a half in office, Donald Trump’s foreign policy appears poised for success, though some major challenges in approach and execution remain. While still a work in progress, the president’s approach already reflects some commendable and much needed changes, genuinely putting America first and making foes and friends alike take American positions more seriously. America’s international conduct has become noticeably more muscular, relying on a significant increase in the military budget and a demonstrable willingness to use force. This is particularly true in Syria; Trump’s red lines are more credible than Obama’s, and when Trump threatens to use military force, few are ready to gamble that the American president is bluffing. 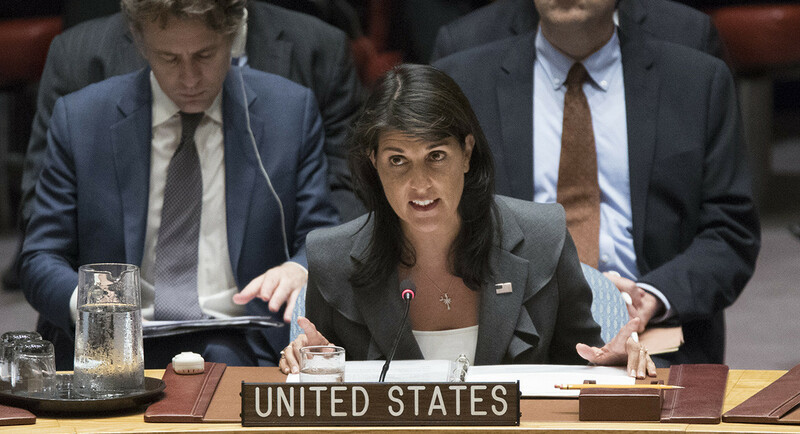 The United States will withdraw from the U.N. Human Rights Council, an entity it has long accused of being biased against Israel and giving cover to rights-abusing governments, the Trump administration announced on Tuesday. Secretary of State Mike Pompeo and the U.S. ambassador to the United Nations, Nikki Haley, announced the decision, a move that essentially reverts the U.S. to the stance it took during the George W. Bush administration, which declined to join the council. Haley and Pompeo‘s announcement came a day after the U.N.’s human rights chief, in a speech to the council, criticized President Donald Trump’s immigration policy decisions that have led his administration to separate families apprehended after entering the U.S. illegally. The 44th G7 summit, held in Canada in the first week of June, ended on a tense, disunited note—not unlike the premise of Richard Haass’ 2017 book, The World in Disarray: American Foreign Policy and the Crisis of the Old Order. In this interview, the President of the Council on Foreign Relations discusses the role of international institutions, World Order 2.0 and how India can participate in it. Aashna Agarwal (GH): You have written about the global gap and how it can be addressed. What should the next steps for international institutions be in order to seriously address this gap? There was a time when I thought James Clapper was one of the top five flag officers among the sixty-five or so that I had worked with over 40 years. I’ve known Clapper since 1994 and it is with distress that I conclude his judgment was diminished in 2007 when he became the first professional Undersecretary of Defense for Intelligence (USDI),following Stephen Cambone, a political appointee himself with mixed talents. Between the two of them, they turned defense intelligence into a spending cesspool biased toward technical collection and mass data storage, fully in line with what one author calls “Grand Theft Pentagon.” Clapper’s tenure as Director of National Intelligence (DNI) can be summed up quite simply: one trillion dollars spent, to no good end. Some, especially in the West, have argued that United States President Donald Trump has effectively sidelined Russia from the rapidly evolving Korean situation by his rapprochement with North Korea’s dictator, Kim Jong-un, at the recent summit in Singapore. But such suggestions cloud years of Russian activity. For one thing, they fail to take into consideration past Russian actions, including assistance to Pyongyang’s nuclear and missile programs over the last decade and help in allowing North Korea to evade international trade sanctions (Newsland.com, December 28, 2017; Ekho Moskvy, December 30, 2017; Kommersant, January 26, 2018; Kasparov.ru, December 30, 2017, January 26, 2018). Moreover, assertions of the Kremlin having been sidelined over Korea miss at least two recent, potentially game-changing moves: the announcement that Moscow plans to build a new natural gas pipeline through North Korea as well as diplomatic preparations for a visit by Kim to Russia and one by Vladimir Putin to Pyongyang later this year. 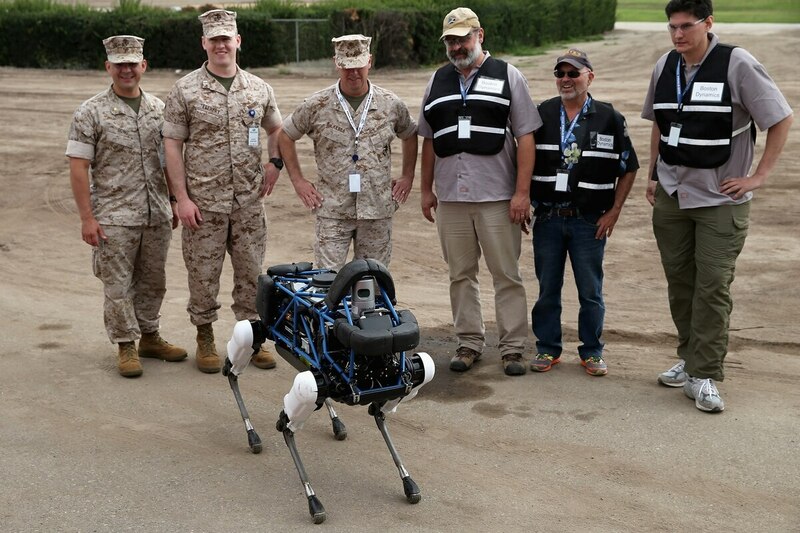 WASHINGTON ― Artificial Intelligence has made incredible progress over the decade, but the relatively nascent technology still has a long way to go before it can be fully relied upon to think, decide and act in a predictable way, especially on the battlefield. A new primer from the Center for New American Security’s’ technology and national security program highlights some of promises and perils of AI. While the ceiling for the technology is high, AI is still immature, which means systems are learning by failing in some spectacular, hilarious and ominous ways. IN JANUARY 2017, Chinese scientists officially began experiments using the world’s first quantum-enabled satellite, which will carry out a series of tests aimed at investigating space-based quantum communications over the course of the next two years. The satellite is the first of its kind and was officially launched in August 2016 from the Gobi Desert. The satellite—named Micius after the Chinese scientist and philosopher—was developed by Chinese and Austrian scientists within the Quantum Experiments at Space Scale (QUESS) project. The project has drawn attention from experts and media outlets across the globe, as quantum-enabled satellites could provide the infrastructure for future hack-proof communication networks. At a moment when cyberattacks are carried out with increasing ease, improving the security of communications is crucial for guaranteeing the protection of sensitive information for states, private entities and individuals. For states, securing communications also entails strategic geopolitical advantages. What are the possible implications of quantum-enabled satellite technology, in the context of current global security issues and China’s expanding engineering capabilities in space and elsewhere? The new Italian government will push for a rapprochement with Russia, which will make the EU sanctions regime against Moscow increasingly harder to sustain. While Rome has pledged to remain committed to NATO, it could withdraw from some foreign operations and cut defense spending. Italy will push to redesign EU migration rules, even as a comprehensive overhaul of the Dublin system remains elusive. Rome's critical view of free trade agreements could result in Italy vetoing future deals between the European Union and other blocs or countries. The U.S. Air Force’s space acquisition model—fundamentally risk-adverse, oriented towards big, expensive, complex system—worked when national power was built by launching a single billion-dollar satellite every six months. In a world with cheap satellites and reusable rockets, it is no longer sufficient. If we want to take advantage of new capabilities, we can’t rely on today’s ponderous certification and government overhead processes. Fortunately, the Air Force’s senior leadership clearly recognizes the benefits of more agile, flexible, and rapid procurement. The problem is that this attitude isn’t filtering down to the bureaucracy fast enough. There’s no silver bullet; the answer will be collective reform from multiple angles. Here are a few. Google is in the process of fixing an unnerving security bug in its Google Home and Chromecast devices—one in which a malicious website could potentially learn your exact location. While the bug itself is cause for concern, it’s worth understanding precisely how Google can triangulate your location via mapped wireless networks, an ability that may surprise some device owners. Security investigator Brian Krebs reported Monday that Craig Young, a researcher with security firm TripWire, discovered a security vulnerability in Google Home and Chromecast products that stems from poor authentication protocols. With a simple script, a website could collect precise location data on Chromecast and Google Home device owners. Almost exactly one year ago, the world experienced two destructive cyberattacks in which offensive cyber tools developed by the National Security Agency were stolen and shared with the public. In May 2017, the WannaCry ransomware hit over 300,000 computers in 150 countries. One month later, the NotPetya attack hit the computer systems of companies and governmental entities across the globe causing millions of dollars in damages. These attacks exploited numerous vulnerabilities, and have subsequently exposed the slow response time of targeted countries and the lack of effective information sharing mechanisms between responsible agencies, something which could have mitigated the severe damage caused by the attacks. The military should be deployed to combat cyber attacks, the new head of the army has said. In his first speech since being appointed to the role, General Mark Carleton-Smith described how the modern battlefield had expanded rapidly, and is "no longer bound by the laws of physics.” Opening the Land Warfare Conference, hosted by the Royal United Services Institute (RUSI), General Carleton-Smith added that “revolution is the new evolution” and warned “existential threats occur at the speed of the internet". The new Chief of the General Staff used his inaugural speech to warn of the growing evidence that the cyber domain is being used to undermine Western societies and democratic processes.